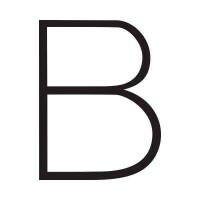 Beautycounter - Jyoti Nicoll - Get Involved. Make Friends. Enjoy Motherhood. At Beautycounter, we create safer, high-performing products for the whole family, because we believe you never need to compromise your health in the name of beauty. I am happy to meet for a complimentary consultation and I love educating others on how to make safer choices with their personal care products! Complimentary enrollment into Band of Beauty Membership Program when you host an educational get together. Members receive an enrollment gift, 15% product credit with every order, and free shipping on orders over $100.